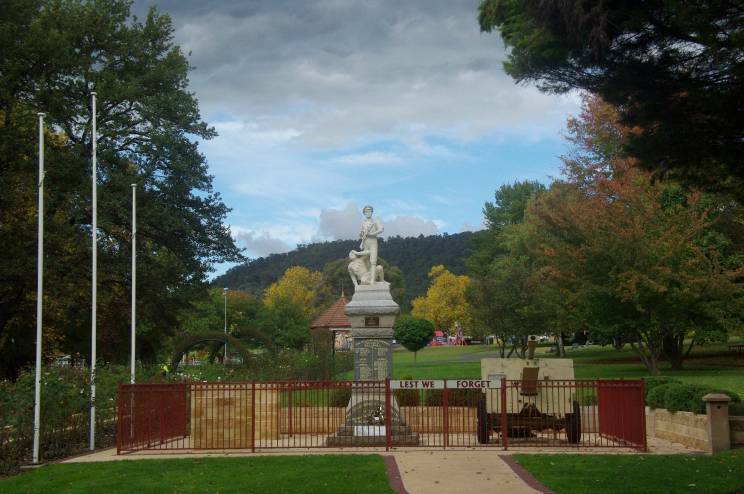 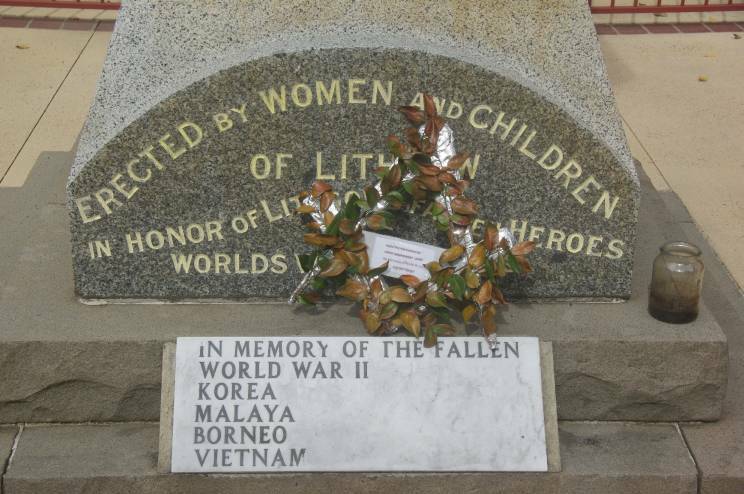 The Lithgow War Memorial, located in the town of Lithgow NSW. 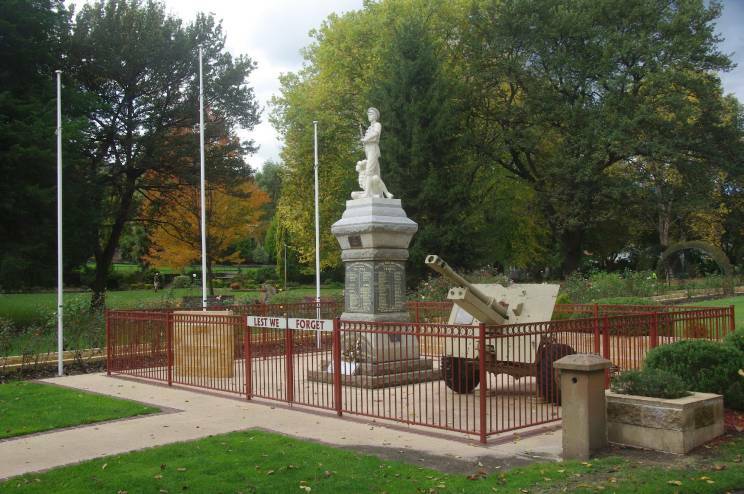 This was originally dedicated to those from the local area who served in the Great War (WWI), but this was subsequently extended to honour those who served in all conflicts. 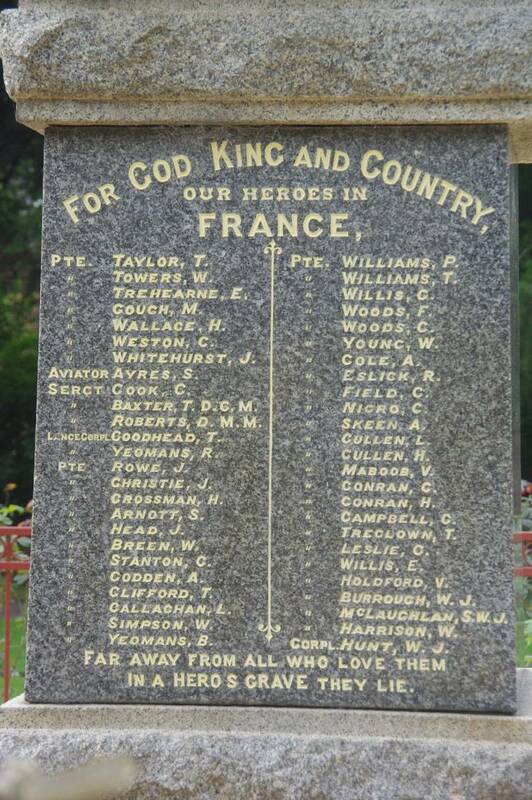 The names of those who lost their life whilst serving in Great War are listed on 3 faces of the memorial under the campaign in which they served. 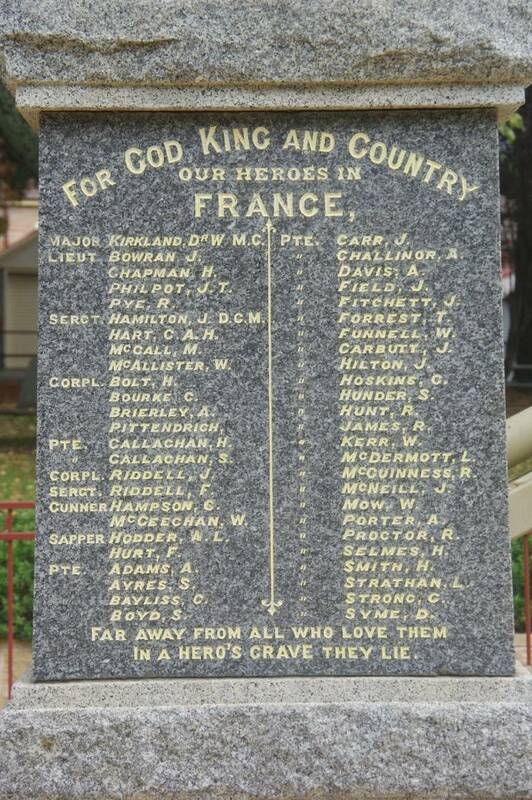 Another view of the Lithgow War Memorial. 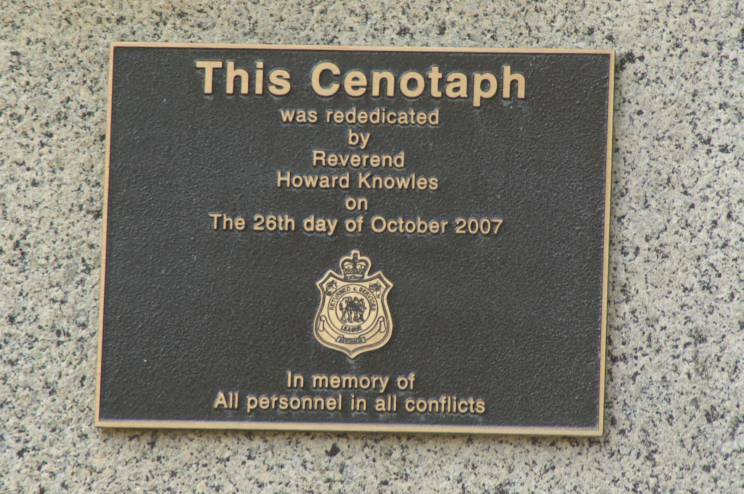 The dedication on the base of the memorial. 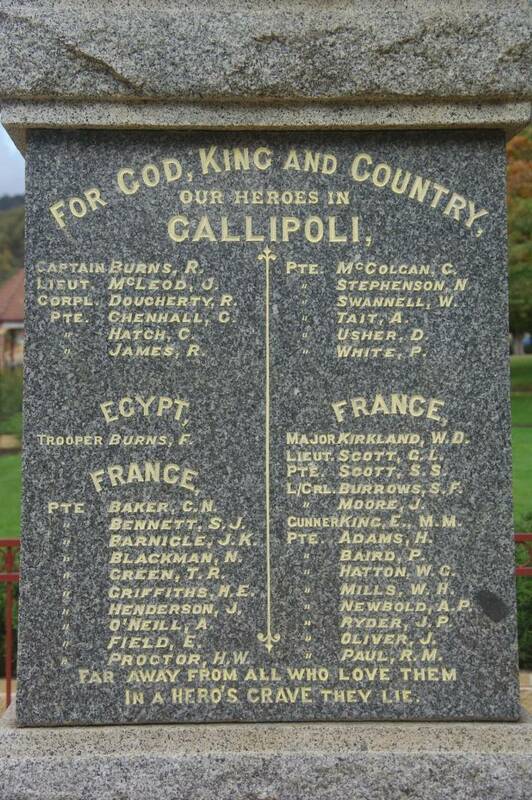 The Great War Roll of Honour. 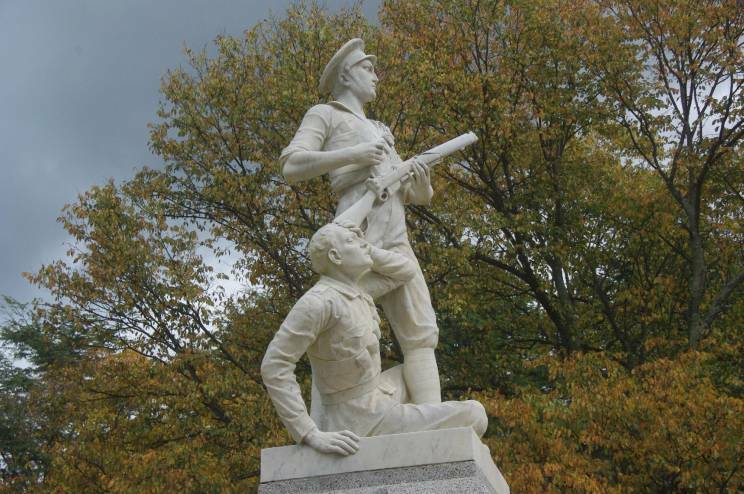 Close-up of the statues atop the memorial.